Dental Media – ACRONYM Inc.
Of course, my personal exposure to Dentists is quite small. I have been a total of three times now: once when I was 17, and twice in the last month. (I’ll be going again in two weeks to get some more fillings, at which point I can enter society again as a “normal” person who will have “regular” check-ups, as my dentists have demanded I do. How come nobody told me real life was so expensive?) So the majority of my thoughts regarding dentists have been shaped by media. My favorite Dentist is, of course, Orin Scrivello from Little Shop Of Horrors (best played by Steve Martin in my opinion, whose version of “Dentist!” is one of my favorite Karaoke songs). I think most people think of something similar when they imagine going to the Dentist: a slightly sadistic maniac with access to drugs who people fear because of horrible childhood experiences. (I always think of the line in the song, “Patient: Ow that hurts! / Wait I’m Not Numb! Orin: Oh Shut Up, Open Wide, Here I Come!”) This fear of Dentists seems to be the staple of bad sitcom fodder too, and probably has something to do with how nervous I get when I sit in the chair myself. There also seems to be a certain amount of odd mystery to the profession, as captured in the music of The Dentists, an English Band with an ear for ’60’s Garage Rock, who were active in the late ’80’s and early ’90’s. While I haven’t heard a lot of their stuff, what my roommate has played for me evokes a much less menacing, and much more “odd” feeling. 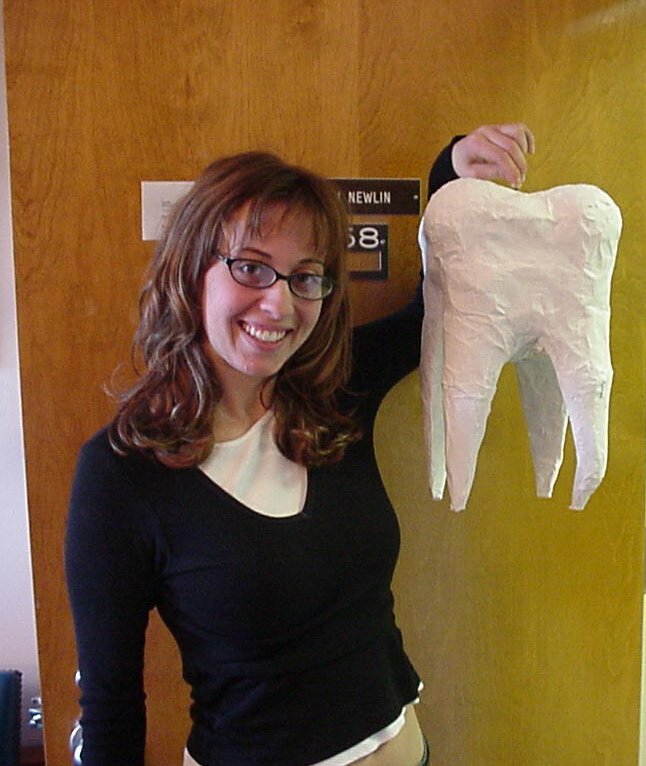 These Dentists are studious, thoughtful, clever, and fun. While the name itself has a specific connection to the career in question, the music seems to dance around this in a way that does not point to the creepiness that is so often present. For some reason this always reminds me of the Dental Hygienist that Larry Underwood dated in The Stand, because I now imagine her being into that kind of music, and not the Pop Pap that he became famous for. I was also just reminded of Judd Apatow’s old stand-up routines, where he would do “impressions” with Cheek Retractors in place. (He paid homage to this in Freaks & Geeks, when Dr. Schweiber has an entire conversation with Samm while wearing Cheek Retractors, in the episode The Garage Door.